Anemia: Frequently affecting women, anemia is a condition in which your body lacks enough red blood cells. “Depending on the cause of the anemia, your doctor can treat you with certain supplements, oxygen or even blood transfusions,” says Piland. 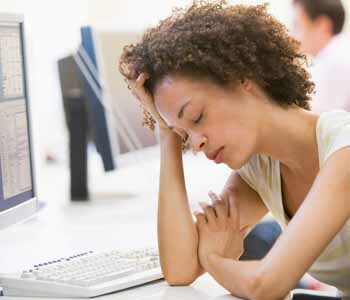 Lack of sleep: Adults need to sleep seven to eight hours per night. Not sleeping enough can result in fatigue. In addition, sleep apnea can cause disordered sleep, which can be just as serious. This is easily detected through testing.